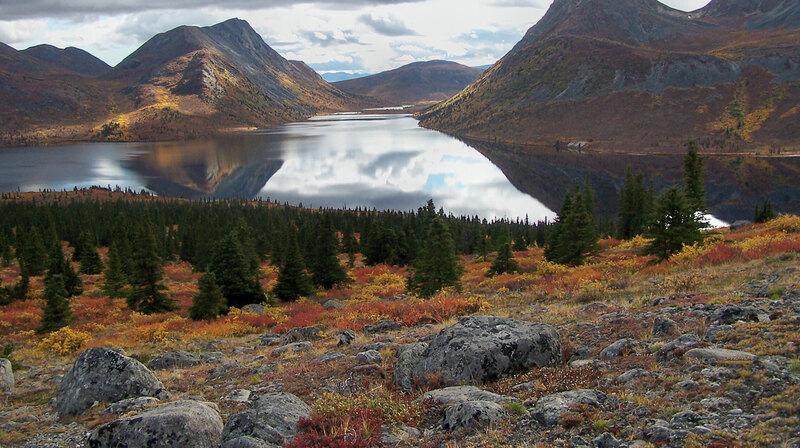 Most of our hunters arrive in Whitehorse in Canada’s Yukon Territory on one of the two or three daily flights from Vancouver, British Columbia. However, some do arrive on flights from Alaska or drive to Whitehorse from the lower 48 via the Alaska Highway. After all Whitehorse is only 1 ½ hour drive from Skagway Alaska. On a typical fall trip either Tim or Jen will try to meet you at the Whitehorse Airport the day before your hunt is scheduled to start. We will then take you to the Whitehorse rifle range to ensure that your rifle has not been bumped during your trip to the Yukon. There are not usually any problems but in the event that there is a problem, we are still in town and so we can deal with it at the time. From there we will take you to your hotel for the evening and make arrangements to meet you and take you to the bush plane the next morning. We utilize one of the quality professional charter companies and you will fly in either a float plane or a wheel plane depending upon which camp you are going to. You will then be flown directly to the camp that you will be hunting out of and you will be met by your guide and your wrangler or cook. Depending on the camp you may land at the front door of your cabin or you may be a short horseback ride to camp. We do not consider this a hunting day. You will be based out of this camp and there will be about 8 horses, a cabin or two as well as a tent frame and a wood stove. In order to maximize success as well as the quality of the hunt there is usually only one and there are never more than two hunters in the same camp at the same time. You may see the game that you are after, right from the cabin. 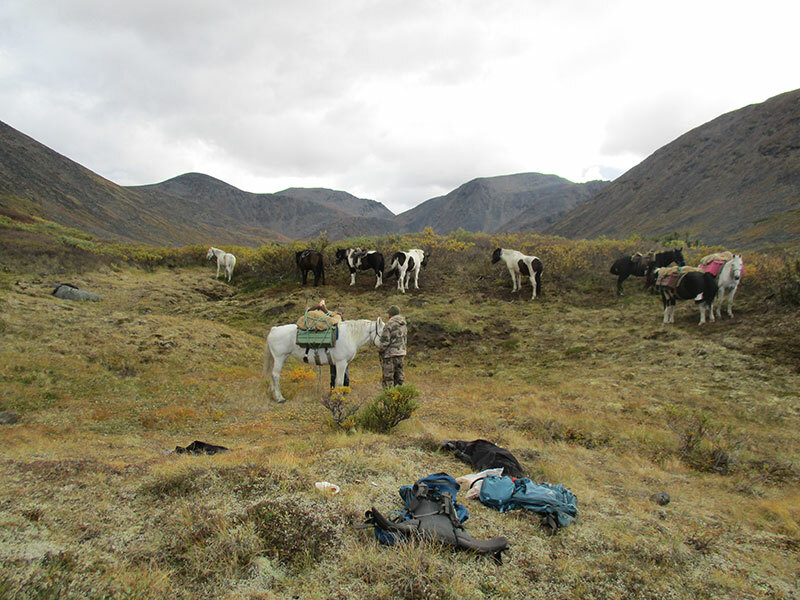 However the guide will take you hunting where ever he believes the hunting is best, which means you may have to take the horses and spike out with tents. On the sheep hunts you may be able to see sheep right from the horses or you may have to ride the horses part way up the mountain and then climb over the top to see what is on the other side. The moose hunts and caribou hunts are spot and stalk although we do some calling for moose when circumstances permit it. The grizzlies tend to be spot and stalk unless we can find a wolf kill or unless we are hunting on the spawning salmon along the rivers. The bison hunts are spot and stalk but they are also winter hunts and we access the country with snowmobiles. The area has a dry climate and you can often ride to wherever you point your horse, which often includes to the tops of the mountains. In order to ensure that you have the most fun and the best opportunity during your hunt we recommend that you try to be in good shape as you can. This allows you the flexibility to go to any camp and have a great time. Our success rates are very high and you have an excellent chance at good game and a good chance at excellent game.